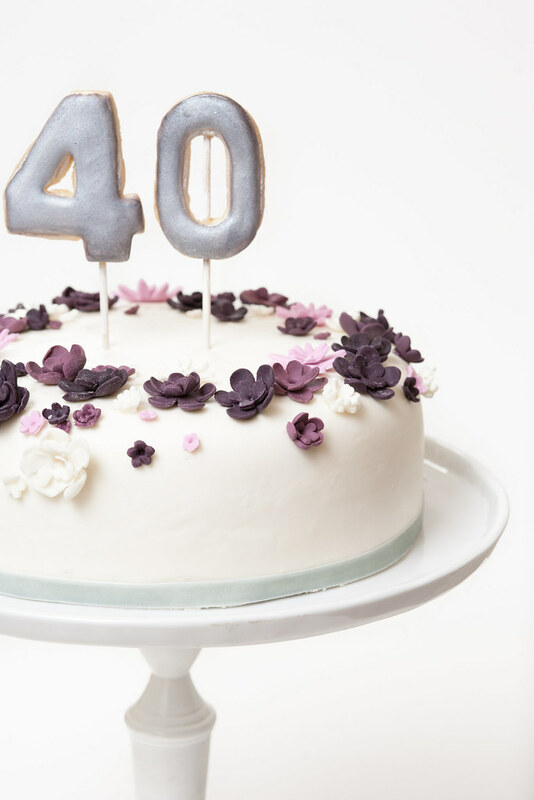 Just a quick post on a cake I made for Maria's 40th Birthday, ordered by Vale. 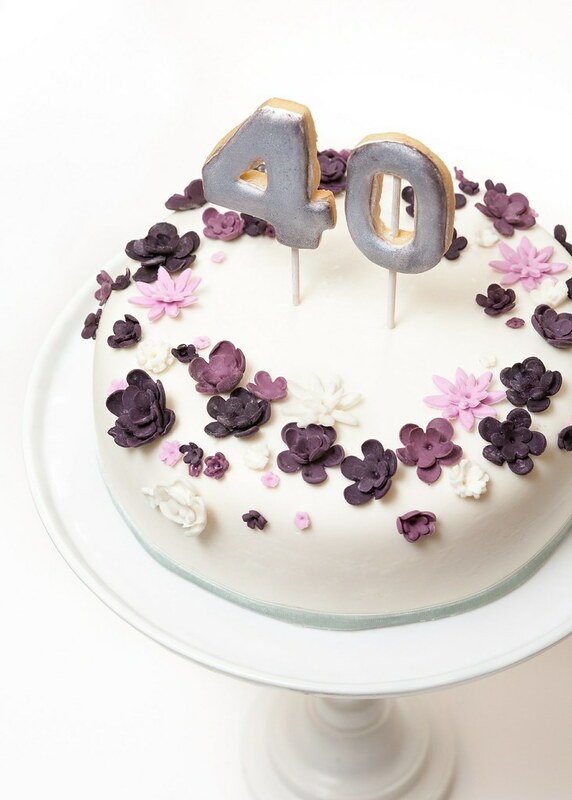 The direction for the cake was to make something with purple flowers and have "40" somewhere on the cake. Also, a vanilla cake with chocolate frosting and marshmallow fondant! Let's not forget these cakes are meant to be eaten. My general inspiration was to have a "floral crown" or wreath on top of the cake. 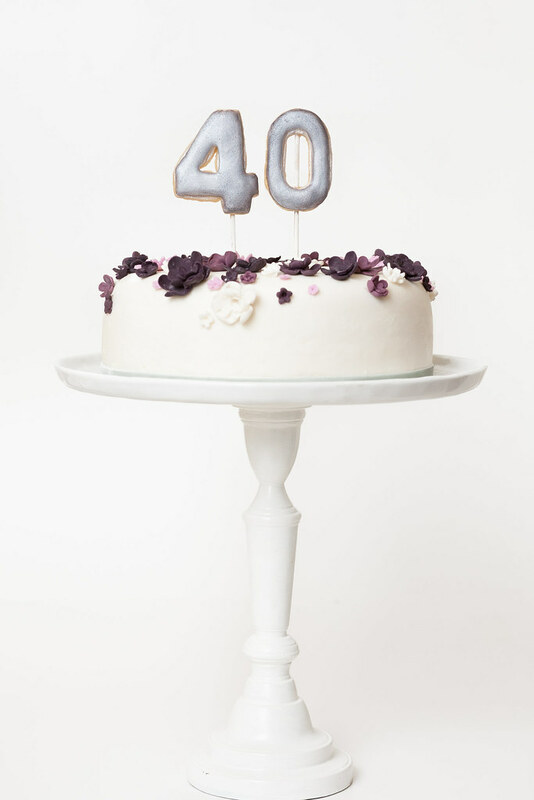 I wanted to put the 40 on the side of the cake, but sometimes my sketch of the cake doesn't always work in real life. The drawing I did of the cake was way taller than what actually came out and Vale was OK with style adjustments, so my next best idea was to go vertical. I made cookie pops and gave them a little silver luster sheen, which kind of made them look like those massive mylar number balloons. A fun little bonus.